Over the years hockey has become more and more globalized. While Canada is still the country directly associated with the sport, hockey has become big in the States, as well as in some countries overseas – particularly countries that experience cold winters. The game is expanding, but it hasn’t quite reached everywhere yet. 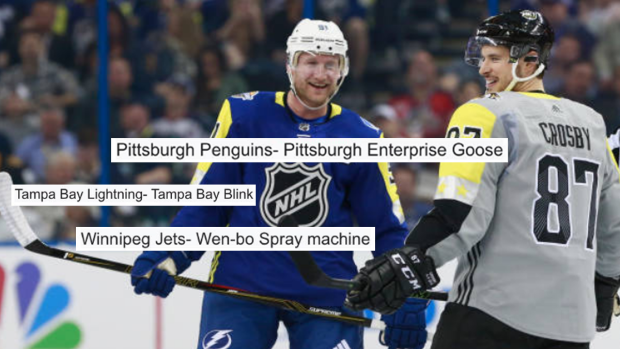 As a result, the NHL may not quite be as popular in China as it is in some other parts of the world, and one fan decided to see what would happen if they did a little NHL-related translating from a Chinese source. 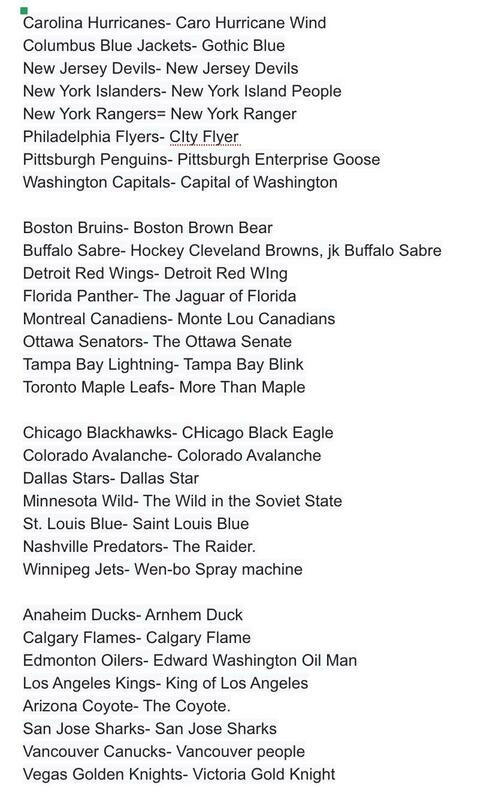 Reddit User thegleamingspire took it upon himself to open Chinese Wikipedia and pluck out NHL team names. The fan then took those names and threw them into an online translator. Some of the names translate directly, but some of them end up way off. Tampa Bay Blink? Wen-bo Spray Machine? Pittsburgh Enterprise Goose? Whether it is the page itself or the online translator is leading to the distortion, there is definitely some kind of broken-telephone lost-in-translation situation here. Either way, it leads to some pretty funny results.